I finished my Halloween idea for Facebook yesterday. I thought you all might appreciate it. Check out the Lily Cup information page if you want to know more! Unfortunately, your cup itself scares me, it's so long that I couldn't possibly wear it. 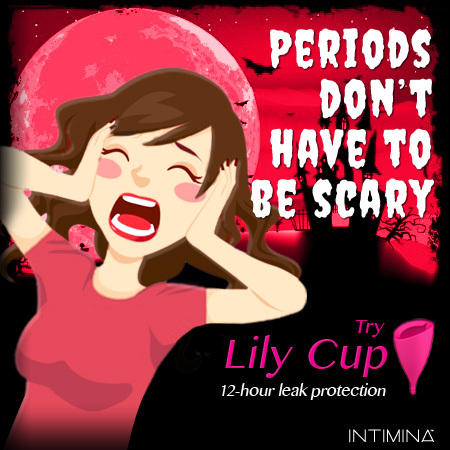 I would like to try this cup, it´s pretty beatiful!, I want add the lily cup to my blog.